For a lot of people, going on vacation means nothing more than getting out the bathing suit, splashing on some sun lotion, and hitting the pool deck for some relaxation. This is time you’re spending out of work to unwind and get to know yourself. Of course, though, not a lot of people stop to think as to whether or not they could get something more out of their vacation. So, to help you out, this post will be exploring some of the key areas you’ll have to learn about. There are loads of different benefits which come from learning on your vacation. To begin, you’ll have to look at this as something other than work, instead making it into something you’re looking forward to. Once you’ve done this, though, you’ll be able to take advantage of everything below. Nowhere Else: One of the best parts of taking on a new skill while you’re away is the fact that you may not be able to do it anywhere else. Ski holidays for beginners, for example, will give you the chance to start working on a skill which can only be done in mountainous areas. This is a great way to make a mark in your memories. Freedom To Think: There are very few times in modern life where you will get the chance to think about something new. While on vacation, though, you will have loads of time which can be spent on gathering some new skills. Fulfilling: Most people leave their holiday feeling bloated and very lazy. Of course, you should be able to enjoy free time like this, but something more fulfilling may also be up your street. By learning on your trip, you will make it feel much more satisfying, and you will leave with much more than a rounder belly. Knowing the benefits of learning on holiday will only go so far when it comes to helping you. 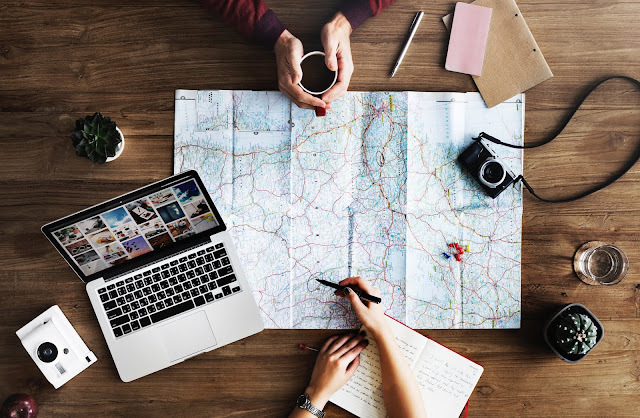 To give you more support, you can find a couple of examples of the things you should be looking for when choosing a trip like this. Something Unique: One of the key benefits of going away to learn is the rich array of unique and interesting options you’ll have available. It’s always worth taking full advantage of this, giving yourself the chance to do something which you’ve never done. A Skill You Could Love: Along with finding something you’ve never done before, you should also look at things you think you could grow to love. For example, there wouldn’t be much point in going skydiving if you hate heights, as you’ll have to experience a lot of them to learn the skill. Ensuring that you love what you do will always make it much easier to carry on into the future with it. Learning in a different place will be an experience which you never forget. Depending on what you learn, this could help you with your work, studies, or simply be a way to blow off some steam. Of course, though, this will be different for everyone, and this means that you have to put a lot of thought into it.